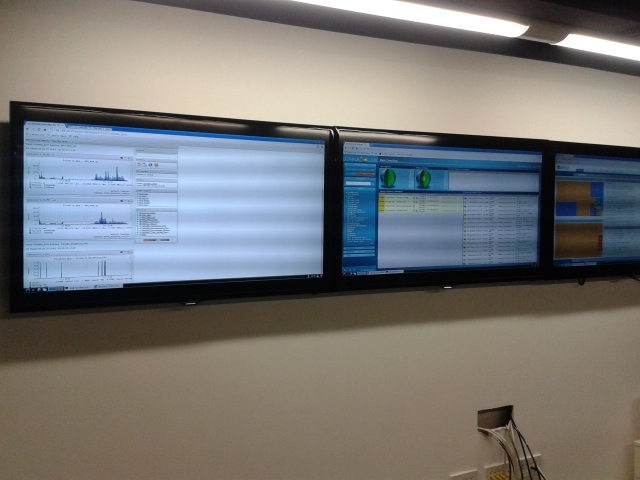 When kitting out a NOC (network operations center) or SOC (security operations center), a common request is to have big screens showing some kind of dashboard. 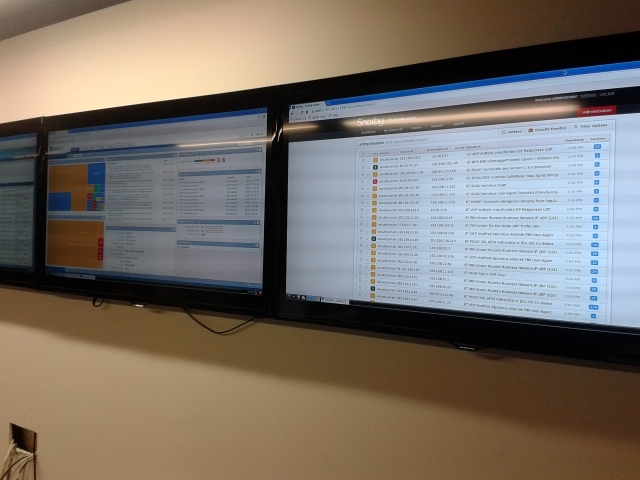 This may seem over the top in certain cases, but it does force the NOC/SOC team to pay more attention to a deployment’s operational status, since the dashboards are always there on the wall, rather than tucked away in some unused browser window, or worse… never even accessed. Dashboard screens also have a secondary, though equally important function. If executed correctly, they can be visually impressive and appealing to management. They make it very easy to grab management’s attention as they walk by and provide the ideal icebreaker to explain to management / customers what exactly the NOC / SOC department does, and they show an actual return on investment in the NOC / SOC team. 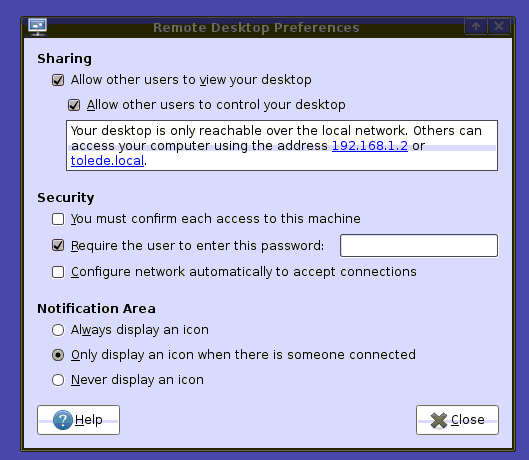 Make sure to allow other users to control your desktop and deselect the option “you must confirm each access to this machine”. You should also insert the above into a startup file such as rc.local to have the vnc server start automatically. You mean 35$ instead of 350$, right? Dave , what are you using for software on the screens? i see palo alto and snorty, are the others Nagios and something else ? looking myself to extend the setup at my work. Still want to visualize DOS+ DDOS and hack attempts however cant find the software for that ? Hey Ralf!!! There are two nagios based screens: check_mk and pnp4nagios, then yes as you say Palo alto and snorby. Snorby and Bro ids are good places to start as IDS vs hacking attempts. Also have a look at AlienVault with OSSEC. For DDoS unless you use a cloud service like Cloudflare your best bet is monitoring your bandwidth using nagios + pnp4nagios…. Hope that info helps?